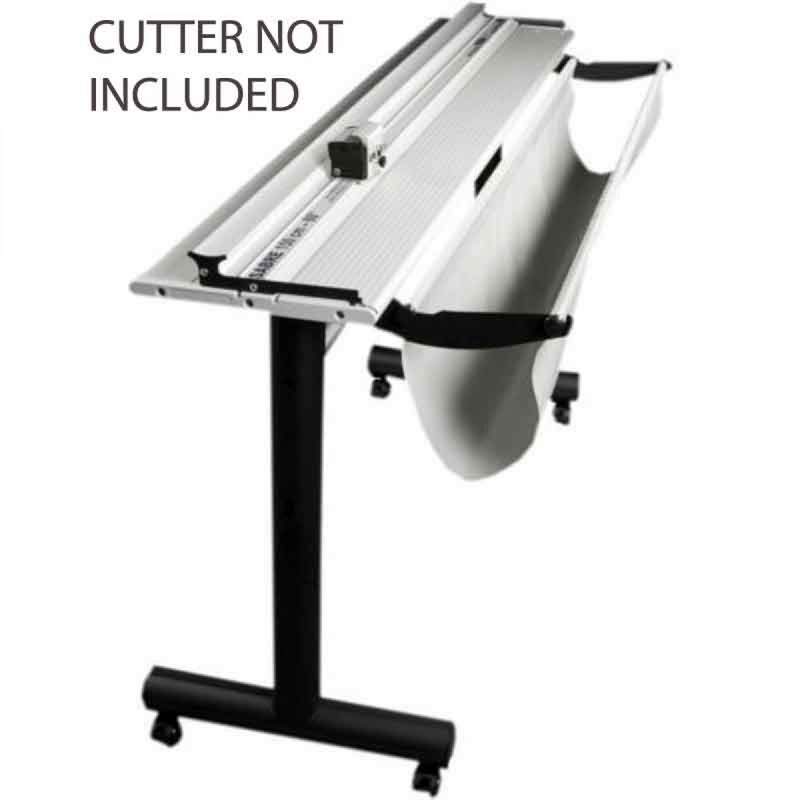 The Foster 62358 Keencut 100" Stand Package saves time and money. Keencut's quality steel ARC stand with its smooth black finish brings the cutter to a comfortable 36" H waist height. The Stand Package includes the standard 36" high steel stand, but also adds a waste catcher that collects off cuts into a neat catch basin, as well as a roll feeder bar positioned between the stand legs that allows users to cut straight from roll media. Waste catcher that collects off cuts into a neat catch basin.